The highly rated external vest carriers available at blauer.com online shopping site continue to make headlines as some of the best in the market. These efficient garments are well designed to offer you comfort as a law enforcer by reducing the overall weight thrust on your body. This is easily achieved by these external vest carriers as most of them are made from light materials that immensely reduce their weight. With this in mind, a law enforcer who is well clad in an external vest carrier will find it easy to maneuver in and out of the danger zones. It is important to note that the main use of the external vest carriers is to wear it on top of your clothing. The great advancement in technology has led to an increase in the production of light weighted external vest carriers. The lightweight also allows the wearing of these vests underneath a casual shirt or uniform and therefore disguising it from the enemy while maintain your tactical advantage. Although initially meant for law enforcers, the external vest carrier is now used by movie production companies in making great action movies that require one to be well attired. It is for this reason that blauer.com has increase the number of these products that are available in their online shopping site. The number of external vest carriers available in this online shopping site can effectively cater for the needs of the whole law enforcement squad.It is also important to note that some of these external vest carriers are well designed with a shell that perfectly fits the body armor. This means that you will not need to buy ballistic panels to fit in this great product. The product is also available in different colors. The common colors include the popular dark-navy shade, the brown, black and white external vest carriers. Other colors include green, yellow and blue external vest carriers. The products are also made with well weaved fabrics that include polyester, nylon, rayon and wool blend. With all these varieties, you will undoubtedly get an external vest carrier that fits your preference. This product is also well endowed with great features that are well made to ensure that you carry all the necessary armor needed in action. 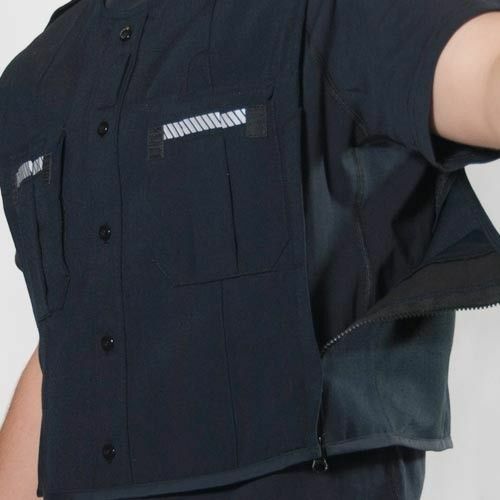 These features include pleated patch pockets, epaulets and side pocket flaps that are well integrated into the external vest carriers to form a perfect gig for inserting your ballistic armors, knives, torches and rifles. The product is also available in different sizes to cater for men and women of different body sizes. These are well made to cater for the slim and tall, the plump and short, the well built individuals and even the aged persons.Another vital aspect to note is that these external vest carriers are available at relatively low prices that are designed to make sure that you get quality products while spending little. The easy on the pocket prices of the external vest carriers available at blauer.com has led to an increase in the number of people purchasing the product in this online store. These include police officers, security personnel and movie production corporations.